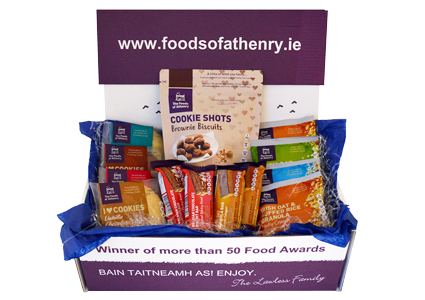 Deliciously indulgent vegan and gluten free snacks handmade in Galway by The Foods of Athenry. All the products in the Vegan Variety Gift Box are suitable for vegans and are gluten and wheat free. Price includes free shipping to the UK and Ireland!